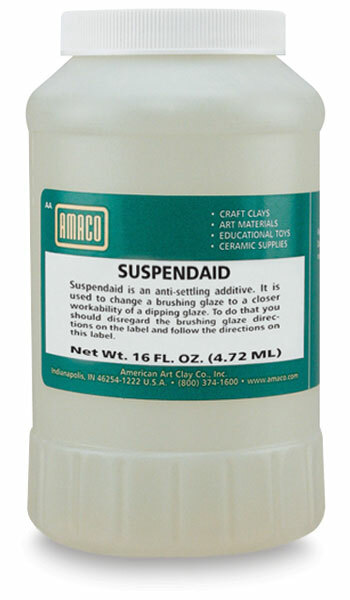 Use Suspendaid as an additive to Amaco regular brushing glazes to make them more like dipping glazes. Suspendaid can also be added to Amaco Dry Dripping Glazes if too much water has been added to the mix, resulting in settling. In addition, Suspendaid can be added to your own glazes to create a good dipping glaze and prevent settling.